Asure Foundation is a non-profit organization and incorporated in Zug, Switzerland. The purpose of the organisation is the research and development of social security, to create solutions that are built around openness, privacy and fairness, and that brings together individuals, companies and governments in a digital world. What is your the Vision? 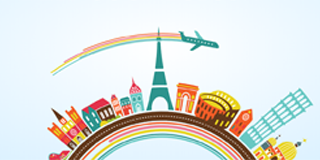 People around the world enjoy their lives without having to worry about any risks or losses. There are over 4.1 billion people worldwide without access to social security systems. Corruption burden in more than 66% of countries, which makes development in such countries difficult. Poverty in the world is still high with 768.5 million people living in extreme poverty , and according to observations, the number has even increased in 2016. The Asure foundation is supported by a group of insurance and technology experts with decades of experience in the industry. We have worked on projects with Distributed Ledger Technology and projects with a focus on artificial intelligence in the context of insurance. Next to promoting the use of the blockchain technology within the domain of social security, we also support a number of activities and projects. Below you find a summary of some of the activities and projects we support. We’re focusing on pension systems as they have a very high impact and because there is a global need for them, especially in developing countries. 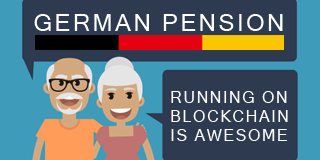 Creation of a technical feasibility study of the german statutory pension system and a Proof-of-Concept of how it could be implemented on the Ethereum blockchain and the Asure network. Development of a scalable blockchain network for decentralized social security built around openness, privacy, and fairness. The network brings together individuals, companies and governments in a digital world. 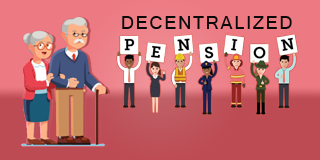 R&D of a blockchain-based, decentralized and globally available pay-as-you-go pension system. The results show how redistribution of contributions towards pension payments work and how voluntary participation in the pension system is incentivized. The Asure foundation exists as a place where donations can be made to further support the research and develop of blockchain based social security systems and related software projects and achieves a great social impact where it is needed the most. The foundations is based in Switzerland, which means that funds directed to us must be directed towards our stated objects, other than what we require for operating overhead. We endeavour to keep our overhead as small as possible. We accept donations of Bitcoin, Bitcoin Cash, Ethereum, and Litecoin through coinbase. Bank transfers are also possible. Please send an email to [email protected] when donating by bank transfer to make us aware of the transfer, and use the following Bank Transfer Information to send the donation.